Cabana in quiet part of the resort, excellent for game viewing from your patio. 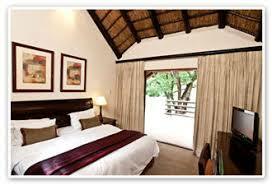 Fabulous bedroom upstairs with beautiful view of the bush and game viewing. There is a hide at the waterhole with an underground tunnel from the resort, where you will see amazing wild life coming to drink at the water hole. The cabana is well equipped, spotless and serviced daily. The BBQ is set up and cleaned daily. 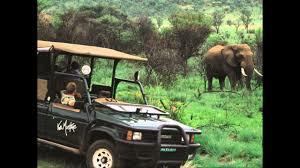 Access to the Pilansberg Game Reserve in your own vehicle or game drives in the Kwa Maritane vehicle twice a day. 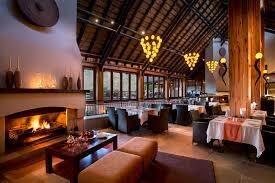 The resort has two swimming pools, games for kids, a restaurant with a view of the bush, outdoor eating area and a bar. 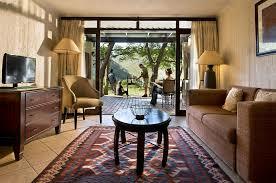 A short drive to Sun City, in your car or in the Kwa Maritane shuttle bus.